Although the fate of the Lamborghini Urus production seems still uncertain, it seems Lamborghini did not wait for other projects. 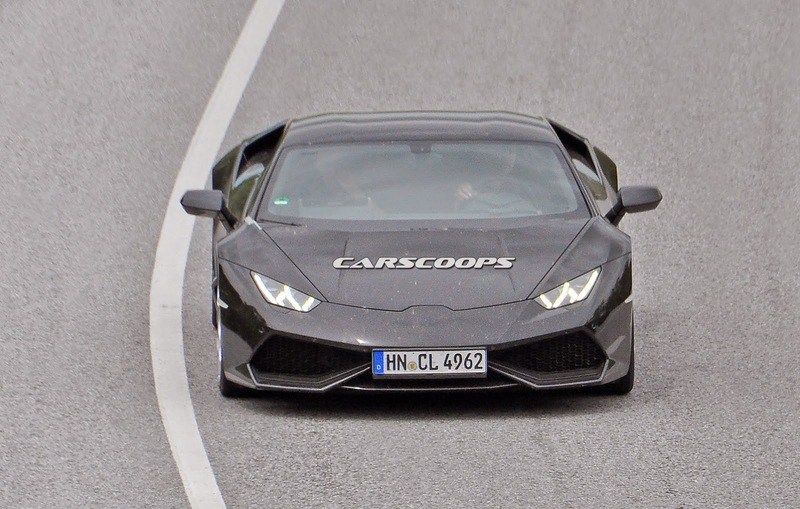 As qouted from Carscoops on Wednesday, May 6, 2015, that published a several spied images of Lamborghini engineers driving what we believe could be a test mule for the Huracán Super Veloce, or SV for short. 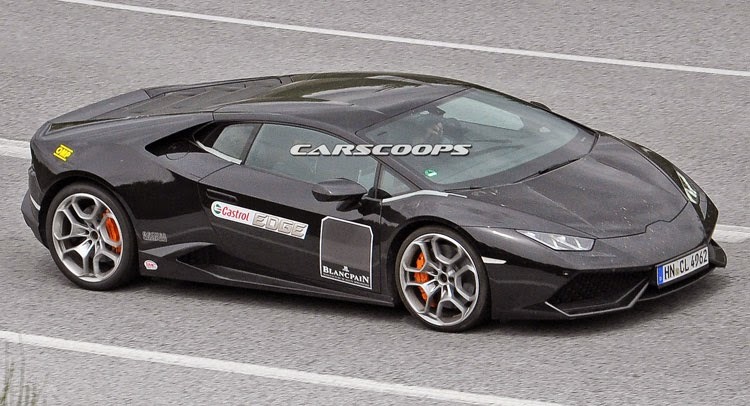 Quite reasonable if Lamborghini will follow the same way as it is applied to the Aventador LP750-4 SV. 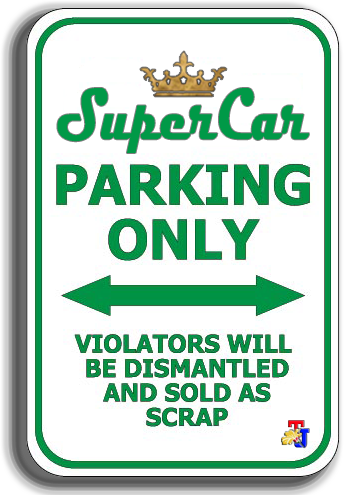 The car looks with the addition of new vents in the back with what looks like a tailpipe peeking through the grille mesh. 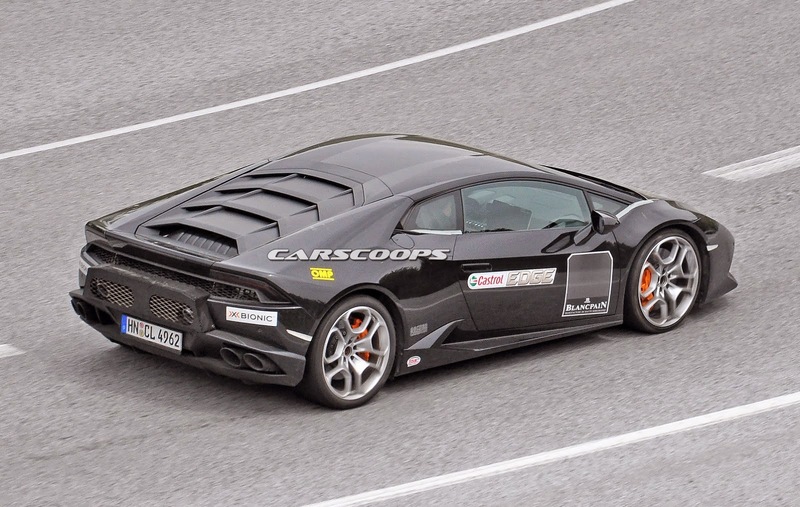 This car also seems to be equipped with a brake that is slightly larger than used by standard Huracán. The goal is clear, to reduce the weight of Huracán by using carbon fiber and aluminum, to optimize the aerodynamics of the car through a more aggressive body kit. Also to provide additional power to the 5.2 liter V10 engine under standard conditions to produce 610 hp and upgrading parts of the chassis.